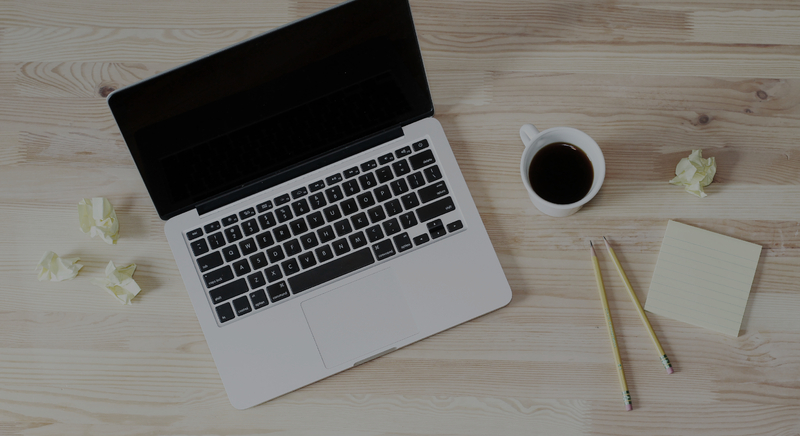 Signing up for the BBC Newsletter is one of the best ways to stay in the loop with all of the latest at our church. 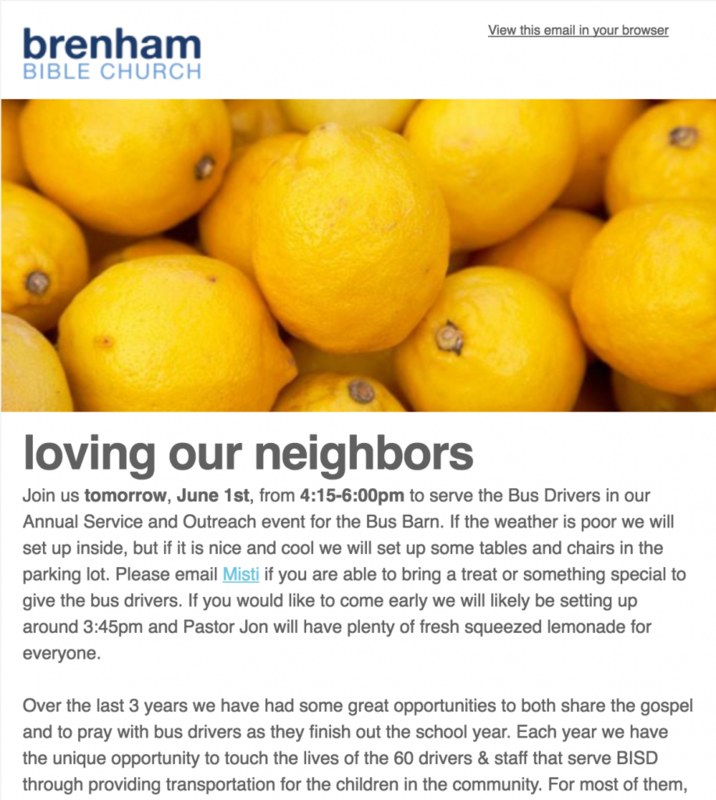 Your contact information is never distributed outside our church – so no worries about suddenly seeing jelly of the month offers in your inbox! Below are just a few examples of what to expect from our communications. Don’t be the last to find out about new classes and small groups as they get launched. 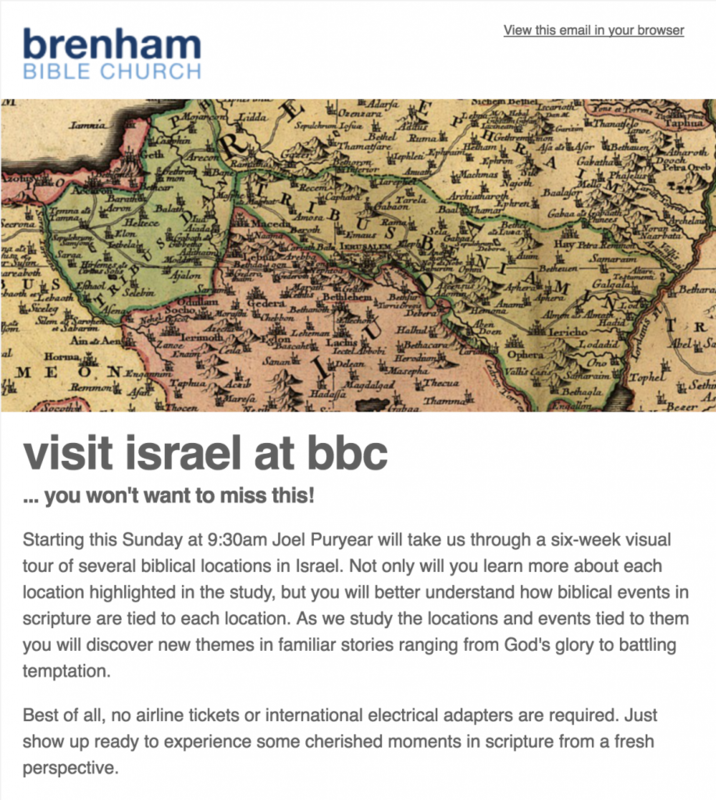 Emails regularly have updates about the ministries at BBC. Who knows, you might even find one to join! Sharing times of fellowship can help you get to know other people at BBC – whether it is a baptism party, a holiday event, or just straight up fajitas we love to hang out! Live out your faith in community! We are all called to put our faith into action as followers of Jesus Christ. 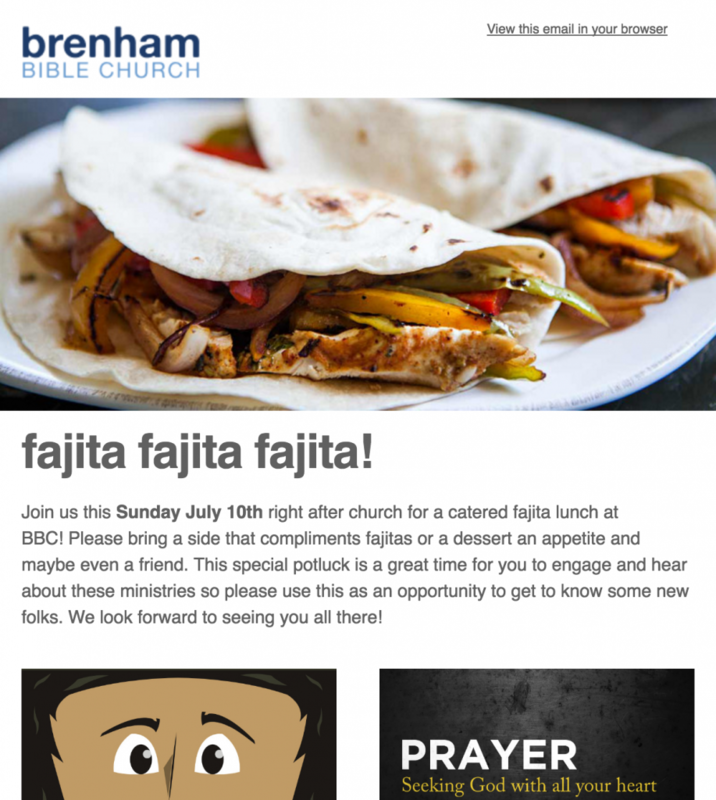 Our emails will help you stay up to date with the newest opportunities to serve!